The Late Music Ensemble is an instrumental group whose concerts blend improvisatory, theatrical and humorous works with notated scores. A typical LME concert features audience participation and ends with a large-scale ‘headline’ piece. 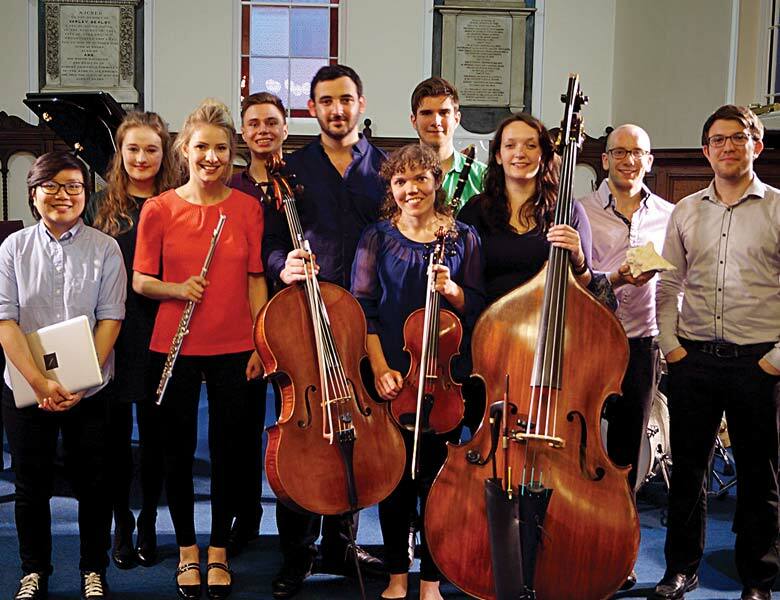 Directed by composer/conductor James Whittle, LME formed in 2014 as a collective of students and graduates of the University of York. Their debut concert, ‘Remembering Steve Martland’ (a tribute to the late Liverpudlian composer), featured Martland’s Reveille, Kick, and Remembering Lennon. LME’s eclectic programmes have since featured music by Pauline Oliveros, Louis Andriessen, Jennifer Walshe, Julius Eastman, Mieko Shiomi, Eva-Maria Houben, John White, and more. LME has commissioned and premiered 8 composers to date – including Ben Gaunt, Emily Crossland, and Roger Marsh – and looks forward to working with more exciting artists in the future.